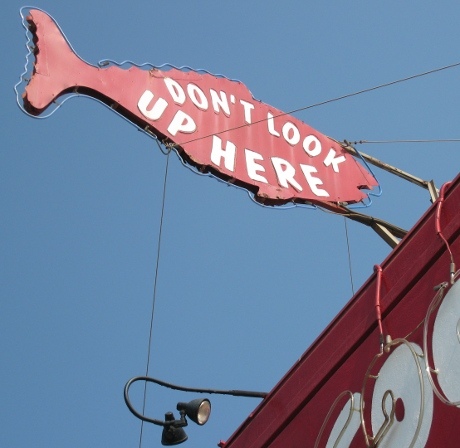 Text, in red, yellow and black, is placed within a wooden frame in the upper half of the design. The frame hangs against a wallpapered wall which is covered in images, each in an oval cartouche, arranged in lines. All is set against a pinky-red background. 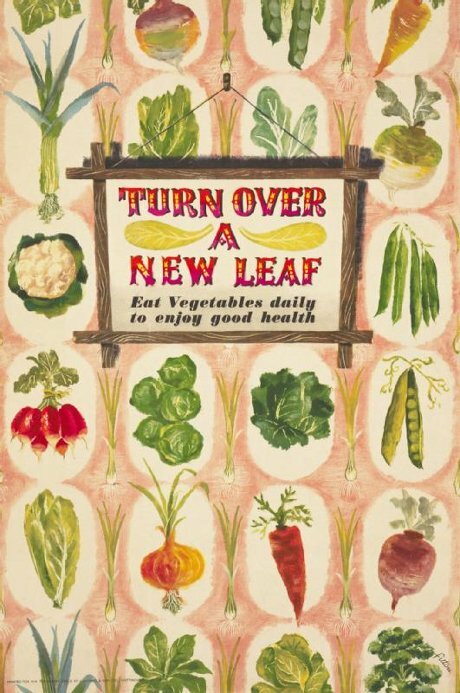 Image : a variety of vegetables depicted in colour, including a leek, a cauliflower, radishes, a lettuce, a turnip, brussel sprouts, a carrot and several others. Each is placed on a plain white oval background with lines of spring onions placed in between each line of vegetables. Images of two yellow leaves are positioned within the wooden frame. This is a photograph (Art.IWM PST 3448) from the collections of the Imperial War Museums. Author : Fitton, James (artist), J Howitt and Son, Nottingham (printer), Her Majesty’s Stationery Office (publisher/sponsor). During the First World War. 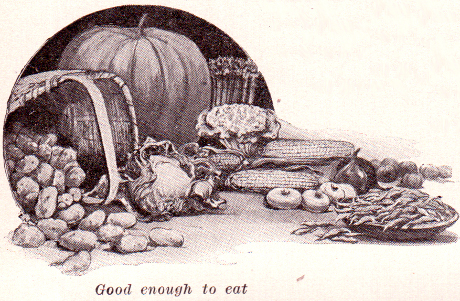 The Practical Guide to Health, page 180, Good enough to eat : pumpkin, potatoes, cabbage, corn and other vegetables. 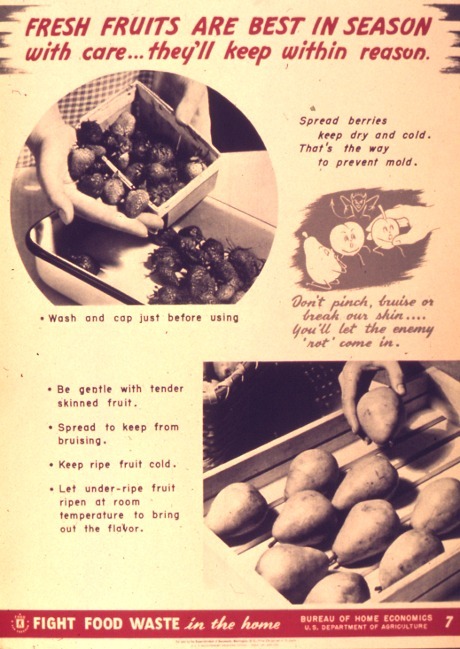 "Fresh Fruits are Best in Season with Care...they’ll keep within reason." -* Source : Office for Emergency Management. Office of War Information. Domestic Operations Branch. Bureau of Special Services. (03/09/1943 - 09/15/1945). 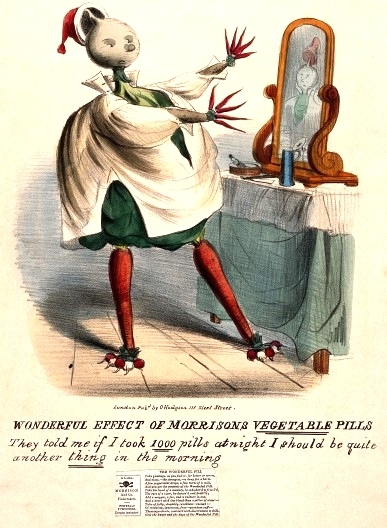 Alternative medecine : Wonderful effect of Morrisons vegetable pills. "They told me if I took 1000 pills at night I should be quite another thing in the morning."